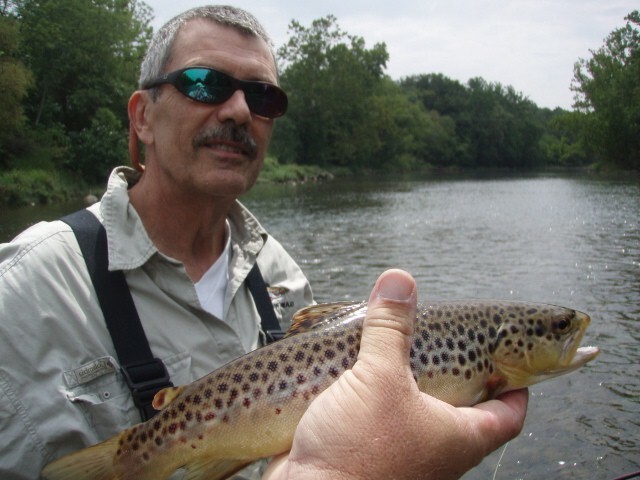 Sat…Aug 28, 2010…..good day again on the SoHo with Larry and Margot Pritchett, we again had success with tiny dry flies…have several new blackfly dries that are smokin’ em. We got on two spots way off the beaten path and was into a fantastic several hours of solid and consistent action. 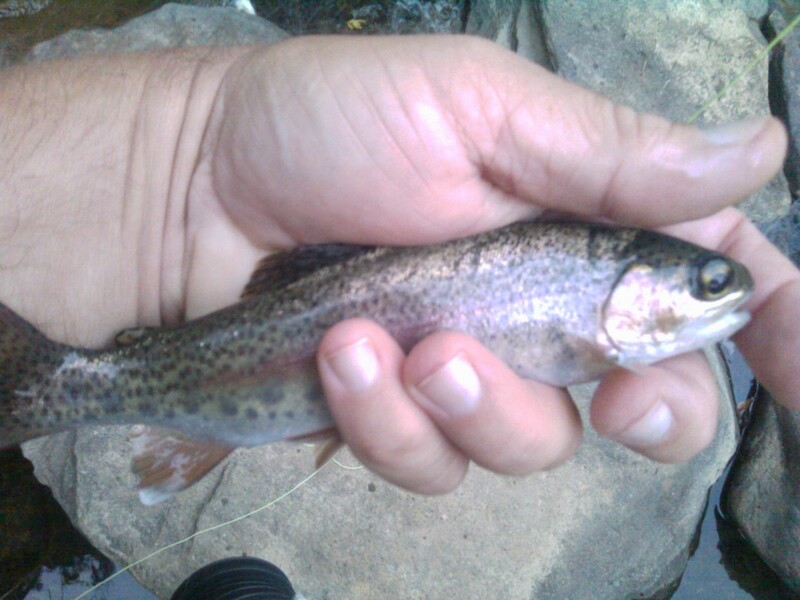 We caught a good mix or both rainbows and browns and some good ones too. We caught fish up to 16-17″ mark and probably 30 or so. Margot had such a hot streak going at one spot that I accused her of impersonating Joan Wulff. It was that good, nailing one fish every casts many times in a row. We also had on two ginormous fish but that broke off on 7X. One appeared to be of the over 20″ variety…..he ate one of my new size 22 midge patterns. We fished a couple more spots then floated the water rise the rest of the way to the takeout. A super day, there’s still plenty of great fishing on the SoHo and the small fly dry fly action is as good as I have seen it in my 25 yrs of fishing there. Hope your weekend was grand. Some more trips in the upcoming week, more fishing reports to come. Have a great week….! Sat…Aug 28, 2010……What a nice morning, just missed getting into the 40sF. A nice cool break from our normal August weather and humidity. Guiding Larry and Margot Pritchett today, we are floating the lower South Holstom from Possum Creek to Bluff City and should be a great day! 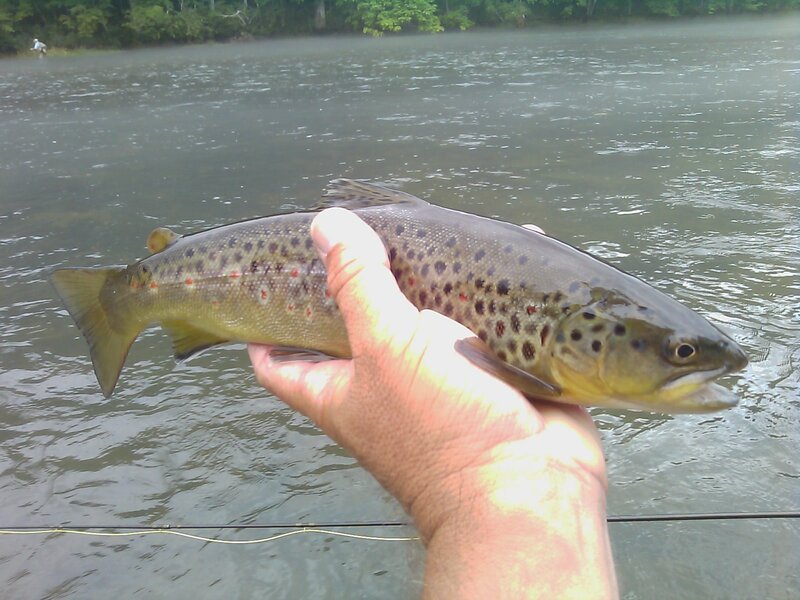 South Holston Hot Streak Continues…. 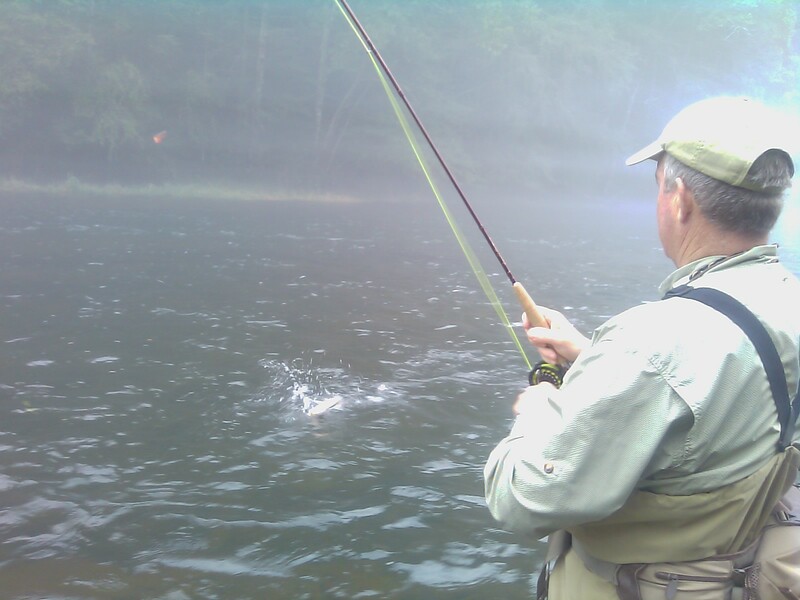 Wed….Aug 25, 2010…….Another cool morning, yesterday was so good here’s a recap……we wrapped up a great day on the South Holston, even with an on at 11am release schedule. The TVA was behind in the release and the water did not make it to us until about 4pm. Guided Dr. Jerry Chostner, a customer of mine for 20yrs, and his friend Sharon Giddeons. We did really well right from the start, and just moved down river ahead of the rising water. We caught a bunch of fish, 40 or more total, fishing today was much like Saturday, but no rain, and few sulphurs but we caught most of our fish on tiny flies….tiny Blue Wings, Sparkle Midges, and blackfly adults. It was fantastic small fly fishing. We also caught a lot of fish sight casting with split backs or split cases, and caught some really nice fish up to 17″ on it. Today was Sharon’s first time ever fly fishing, she caught a dozen fish and caught the first 6 on a size 22 Blackfly, 7X, on flat water, and while the fish were rising….there are a lot of folks who fish here regularly that can’t do that– -nice work Sharon. I keep saying if you have the right fly, and get good drifts with lots of slack, you can do well. 12 fish on a first day anywhere is fantastic, and especially on this river. 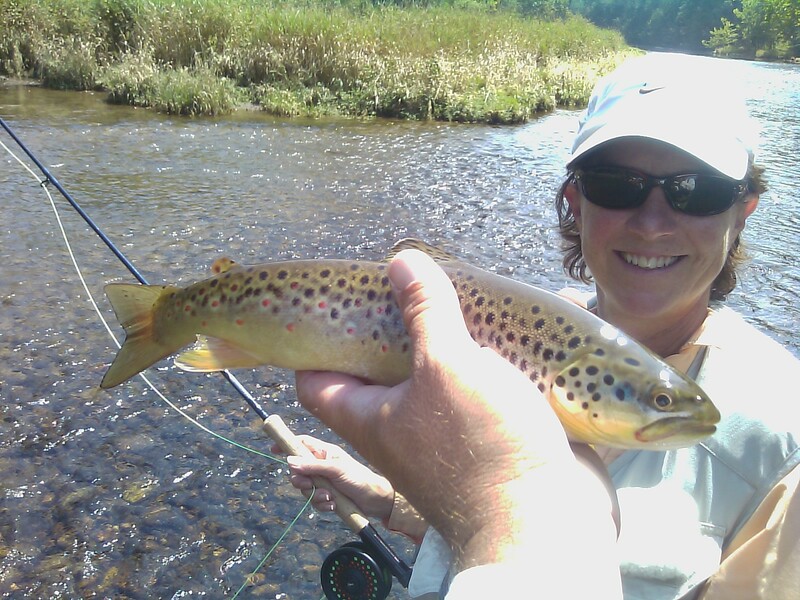 Jerry absolutely slayed them, catching a nice mix of browns and bows up to 17″, we caught a bunch on tiny dries. Right now there’s some absolutely fantastic morning fishing available with small flies, but you have to know where to look. If you like this kind of fishing, or would like to learn to sharpen your skills for upcoming small fly season (fall , winter) on most waters then now is a great time to take advantage of this. Enjoy several hours of this fishing and top it off with a sulphur flurry at the end. Nice job Sharon and Jerry! Have a great day today……..looks like a moist one and cooler. There are blue winged olives coming off somewhere you can bet on that! 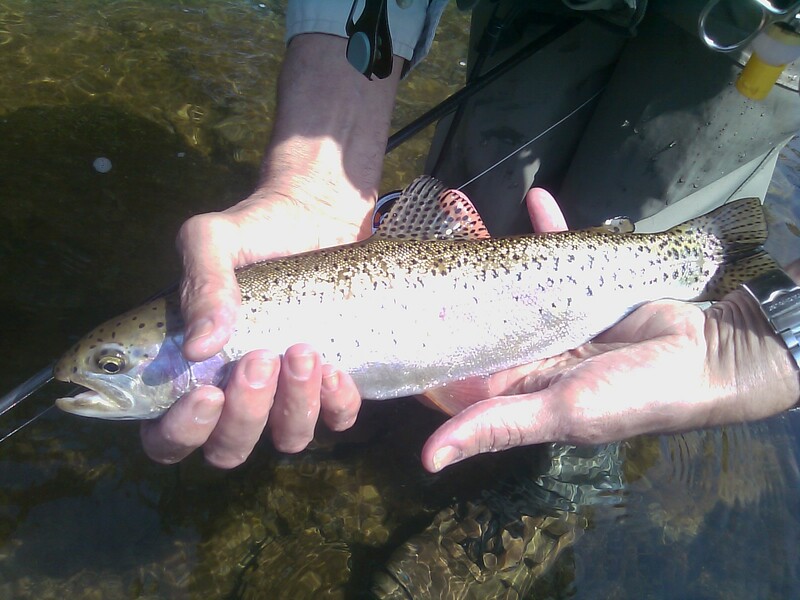 Another Awesome South Holston Outing…. 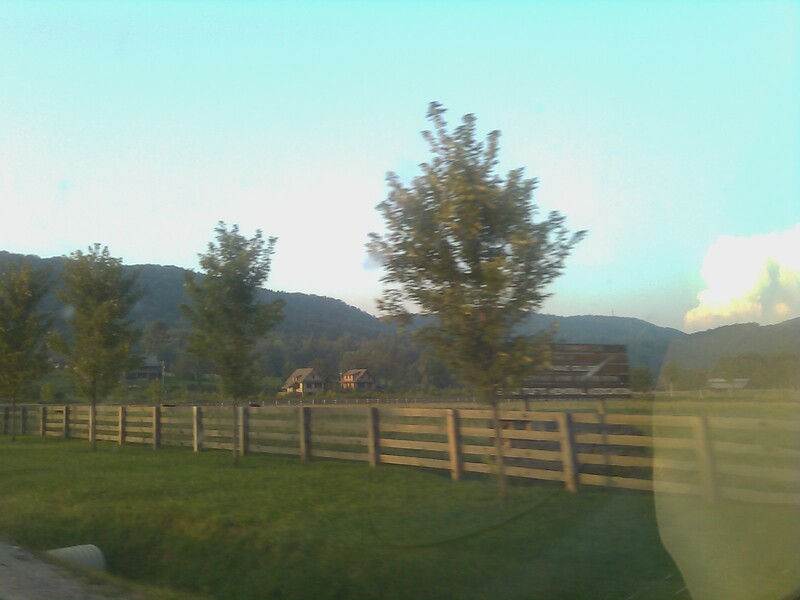 Tues…..Aug 24, 2010……What a nice morning, much cooler, fall is coming. Headed over to the. South Holston, should again be a good day, Guiding Dr Jerry Choster today….more to come…..
Sat…Aug 21, 2010…..a slow start to a cloudy day, but slow it did not stay. About 11am we started getting some regular action on top. Today they were not generating but instead doing a 670cfs sluice which put an extra 6-8" of water in the river. We caught about a dozen browns and rainbows and the we moved to a final spot. It started to rain, and pretty heavily too, but the fish got cranked up on one particular flat and we ended up with around 50 fish or so—-all but 6 or 8 on dry flies, Mac Cheek and John Hardy did an awesome job. 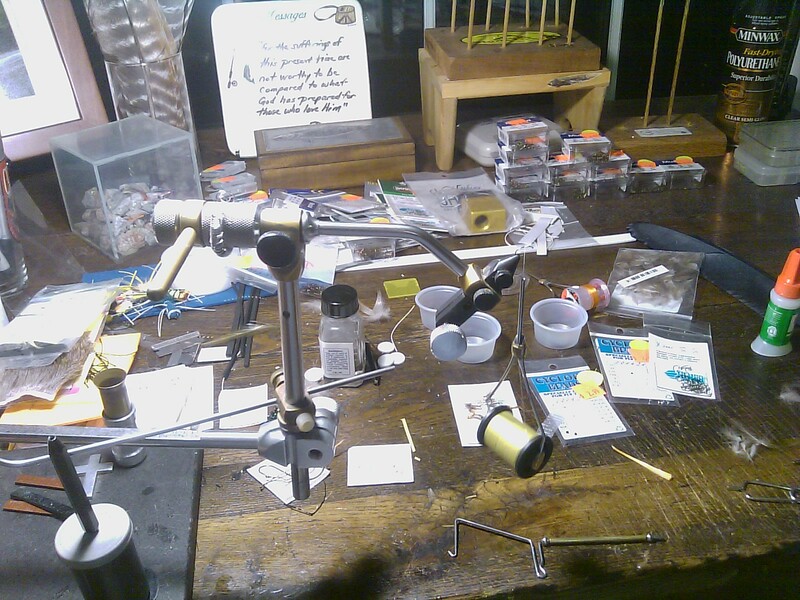 In fact, there was one point where both of them were nailing fish on every cast and in a pouring rain. We all got soaked to the skin….but it was worth it. My copper tail emerger smoked them today, accounting for 90% of our fish. SoHo will continue fishing well, and have openings coming up…Let’s go fishing! Have a great evening and weekend. Sat….Aug 21, 2010….the past few days I have been reloading the South Holston ammo box with emergers, midges, split backs, bwos, and blackflies. After some heavy rains things are settling down again. 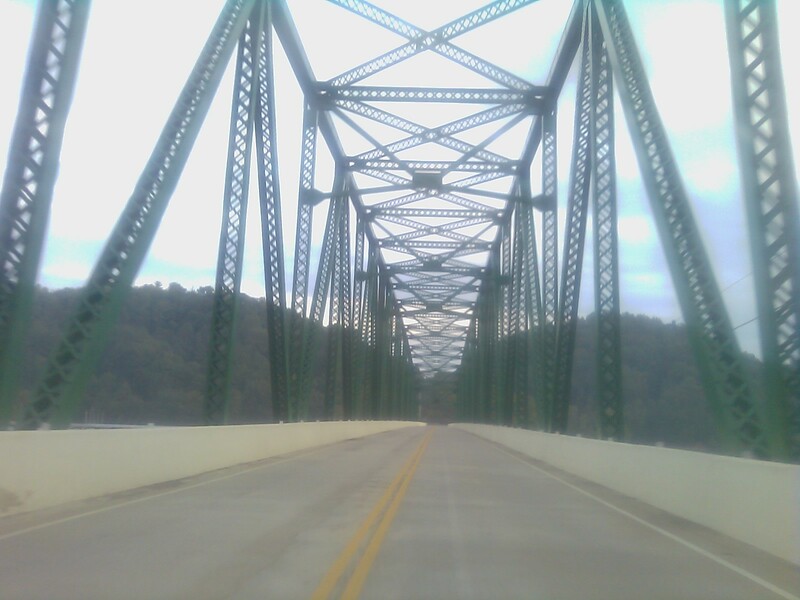 Headed over to Guide John Hardy and Mac Cheek on the South Holston..should be a great day….more to come….! Wed…Aug 18, 2010….a lot of rain has fallen and a line of t-storms forced an end to an otherwise good afternoon of fishing. 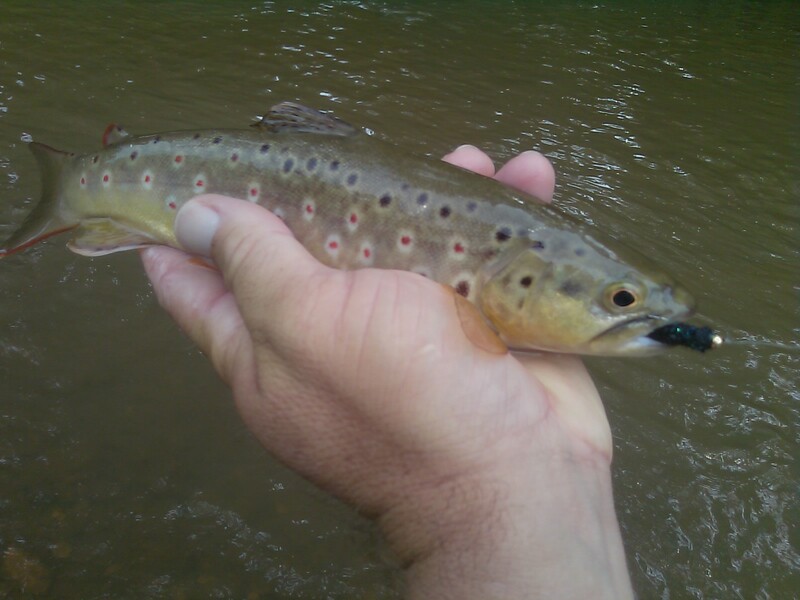 Browns, Browns, Browns…….when a muddy river presents either a fishing trip or a 180 degree trip back home…..I usually choose the first. We did today what I have been doing for years—taking a challenge as an opportunity and running with it. Had some good R & D fishing with a new water streamer pattern. One more day of rain and looks like the rain moves on. Have several lessons tomorrow and an opening on Friday AM Half Day for some dingy water streamer fishing. If you have gotten tired of heading home when you find a muddy stream and want to learn how to turn one of those days into an unexpected opportunity this is a good opportunity to learn how. Have a great evening.